Hey! My name is Christina (Kristýna in czech) but you can call me Kiki or Tina. I live in Czech republic and I am czech and polish by blood. I love to meet new people so don't be afraid to talk to me!~ Just understand I am careful with calling someone a friend please. P.S. : My english is not perfect and I tend to type fast so please excuse me. 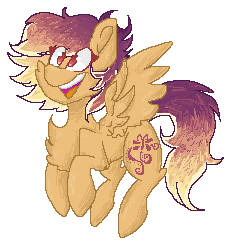 Favorite visual artist mauroz (DA), Banthatic (DA), H.C.Brown (YT), D+CON (Twitter) Favorite movies Too many great movies to name Favorite TV shows MLP, Glee, Steven Universe and tons of other cartoons, shows and animes Favorite bands / musical artists P!nk, Linkin Park, Skillet, Panic! At The Disco, Halestorm, The Pretty Reckless, Set It Off, Icon For Hire, Paramore, Kelly Clarkson, Nickelback, ... Favorite games GTA, Assassin's Creed, Need For Speed, Resident Evil 4, Don't Starve, The Sims, League Of Legends Tools of the Trade Paint Tool SAI, Wacom Tablet, pencil Other Interests Drawing, playing cards, watching catoons, reading, sports, ect.. and....ponies. Ty so much for the fave! Hi there. You taking commissions at the moment?